I am thankful for Priti – The person who rekindles my inner spirit by just being there. I have not yet met her in person, but we share a deep connection which started with a food talk on a social network. 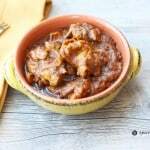 Really – just a simple talk about a slow cooker and the day’s menu. That talk was the beginning of a beautiful friendship. A few weeks ago, I sent her a batch of my home made garam masala , along with the Kashmiri veri [ Va ( short a sound) ur and short i ] masala. She had asked me the recipe for my garam masala a long time ago, and since I mostly make a quick batch, I never paid attention to how much of what I put in -It is an instinctive thing. So I never got around to develop the exact proportion ratios. And hence never gave her the recipe. Sending her the masala was my way of apologizing for being slipshod. I mean, I could very well measure as I went and take notes and type it out for her. But I did not. So I had to do something better. I made my Garam masala AND I made the kashmiri veri masala and sent her both. In one weekend! 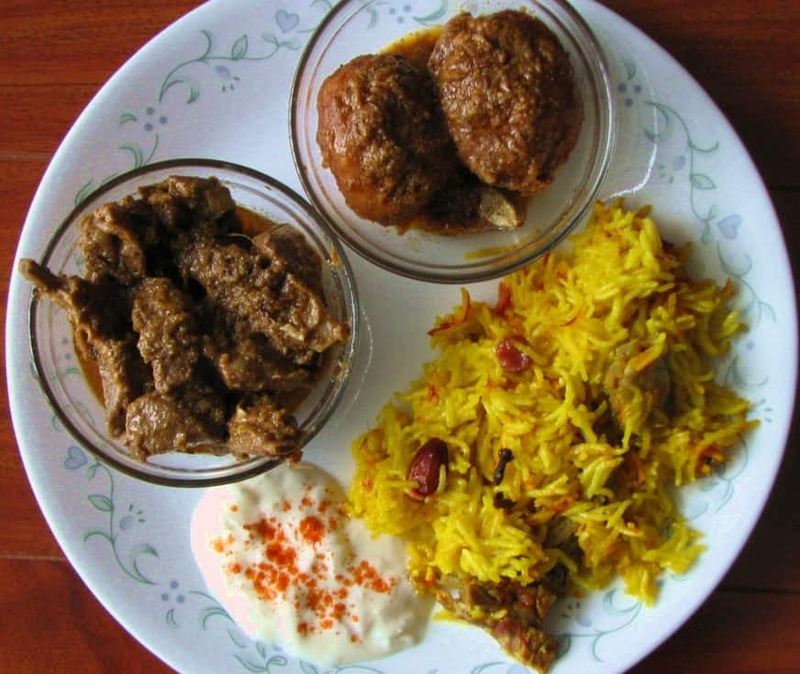 She made the haakh, razma gogji, chicken daniwal korma, roganjosh, dum aloo and neni pulao. A true kashmiri feast. That does tell a lot about how big a foodie she is and how much she likes to experiment. I was thrilled to the core. Not because she made the food using my recipes as a guideline, but because she was so blissful about the process of discovering a new cuisine and liking it. You can’t help but catch on the enthusiasm and the passion. She makes the “joy of cooking” come to life. And unknowingly, she stirs the enthusiasm in me, to cook up a storm and enjoy the adventure. 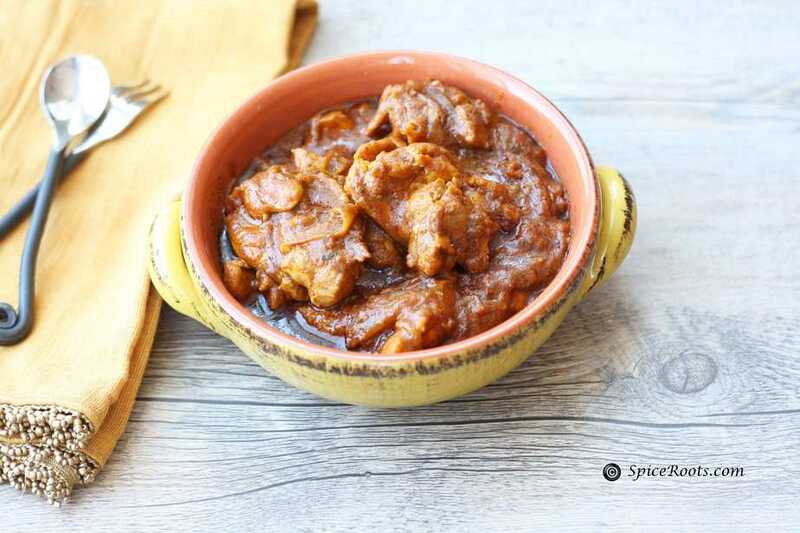 While we were talking about what else can she make with the Veri Masala, I shared with her my best kept open secret, go to chicken dish – the chicken rogan josh. No fancy ingredients, very little prep and is usually ready in less than 30 minutes, depending on how many people you are cooking for. Weeknight specials? I think its perfect for a weekend too and Priti did too. 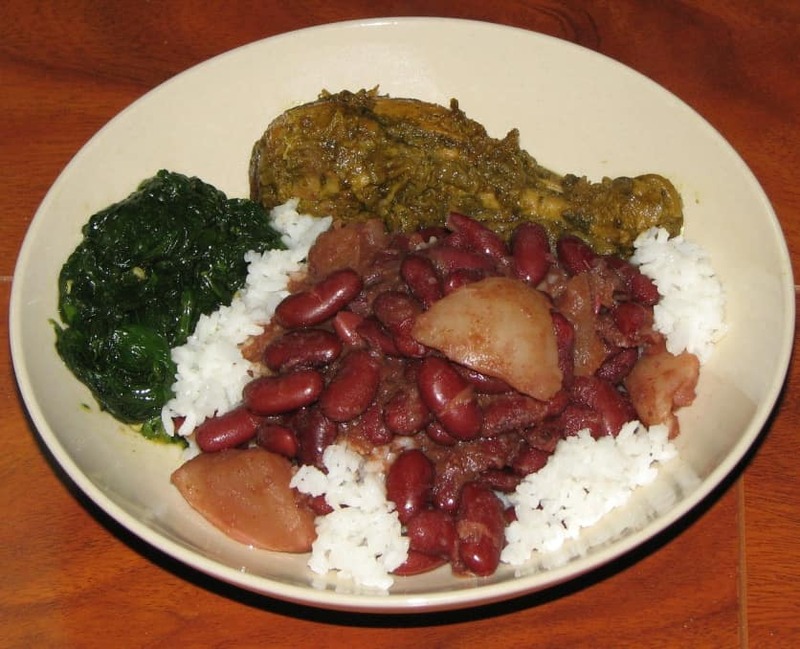 Here is the picture she sent me of the dish she cooked, with just a few twitter like instructions. Told ya she is just amazing. These are the kind of friends, for whom you want to cook special meals, yet want to keep it homely and simple. You also want to finish cooking soon so you can drink that beer before they hand you the empty bottles to recycle. This recipe does need you to buy the special Veri Masala which is not readily available. I will soon post a recipe to make this at home. Until then enjoy the chicken recipe. Take extra care when you add the chillies. The idea is to infuse the chilli in the oil for it develop the color and flavor but not burn them. It takes just a few seconds to burn them so keep a couple of Tbs of water handy to throw in to bring the temperature down. smokes and then cool it down slightly. This step is important else there will be a very mustard like taste in the food which is not appetizing to everyone. 2.Once the oil is hot, add the onions and chicken and saute on medium heat until onions start browning. 3.Bring the temperature down to a simmer, add the chilli/ paprika and immediately add a couple of Tbs of water to bring down heat and allow the chilli to cook without burning. 4.After you see the oil separate from the chillies add the Veri masala, stir to incorporate and then add all other dry ingredients. Mix it all and let the spice infuse in the oil for a bit. 5.Add 1/2 C of water, stir, bring to a boil, cover and cook on medium heat for about 10 minutes or until the oil floats on top. 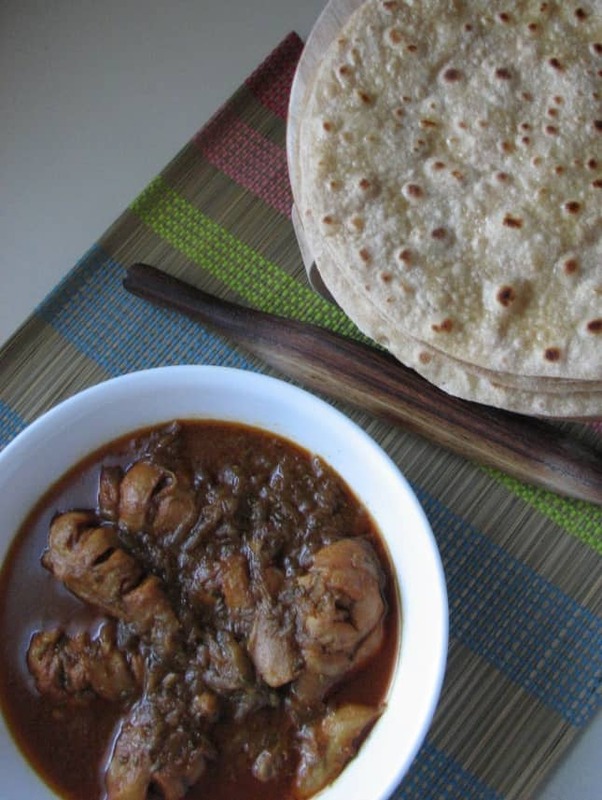 6.Eat with a Roti or naan or plain brown or white rice and Dal. Ansh…It turned out quite well. Have bought the veri masala…Can it be used for cooking any other dishes, besides rajma? Hi Ansh, is there a link to your Veri masala? 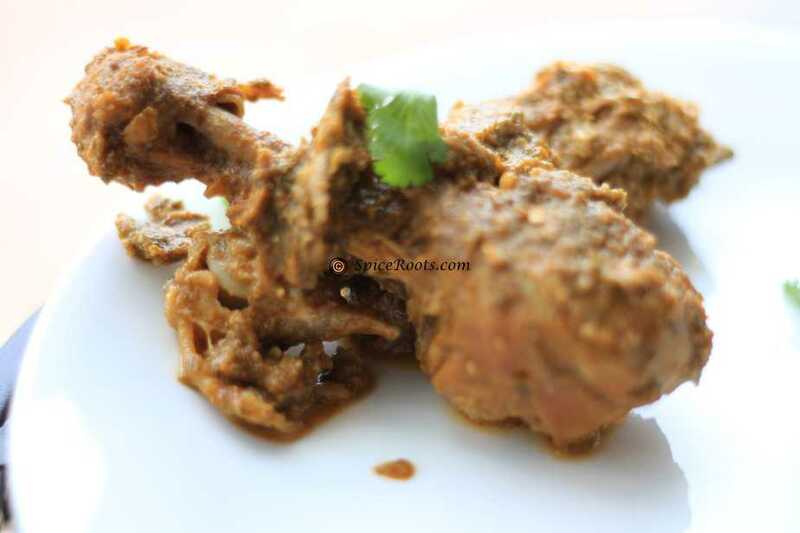 I have come across your blog offlate…looking forward to have more authentic recipes of chicken/lamb….cheers!! hi ansh, i was under the impression that roganjosh must be a complicated dish.. but this looks sooo simple… would like to try that!! kashmiri flavours will be added on my menu!! Hi, i m so much impressed with your blog , I love the description and personal touch in your blog which make the dishes all the more appealing. I would eagerly wait for the garam masala recipe and Kashmiri vir masala recipe. Hope to have that soon. cheers and kudos to your spirit!! Ansh, this recipe looks so delicious. I hope sometime you will post a user friendly recipe for dosa. I love them but I am very intimidated by the ingredients and method. I also want to try your chai sometime. Another one of my favorites. I do have a very user friendly recipe for Dosa. will post soon, Karen. and lets have the chai soon. 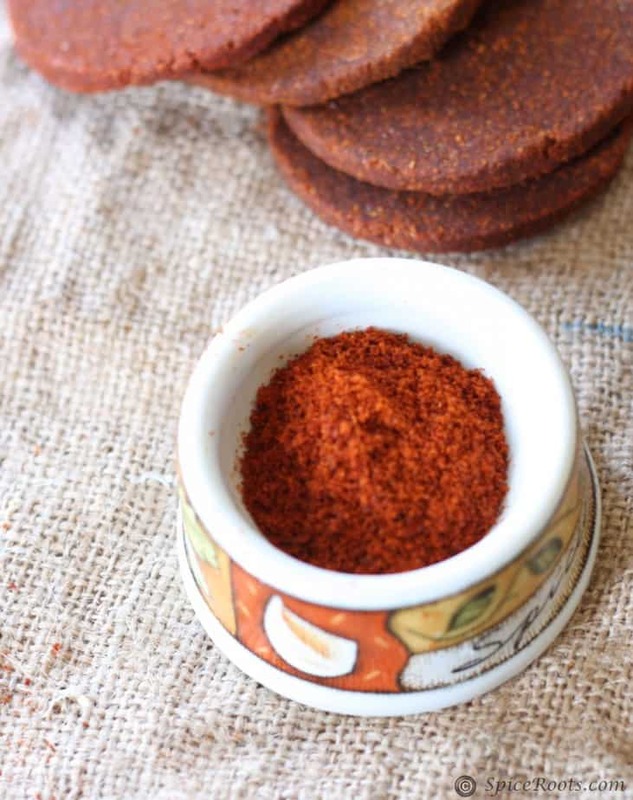 I love Garam Masala and will definitely drive to Boulder to pick some up…ha!! I too have found the community of food bloggers incredibly warm and embracing. Love your recipes and your energy. Cheers! Drive up here Jill. Will make it fresh for you. Iam getting envious here ansh 🙂 you guys are lucky for being so endearing to each other. Wish i was somewhere atleast nearby you guys. Chicken roganjosh is truly pleasing and literally drooling here. Wow! what is that ver masala. I will be waiting for the recipe. Right now I am savoring them visually. Balvinder, Thanks. Ver masala recipe coming up soon. I made a small batch this weekend and is tasted great. Yaya, have plenty of ver at home. Last year when I was in Srinagar, I stocked up and came back. Me = Not Surprised at that, Ruchira! Every dish looks mouthwatering!! 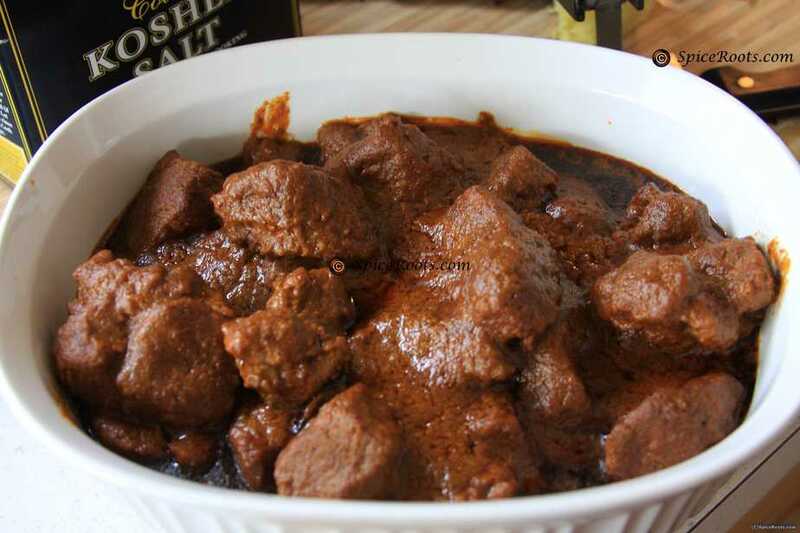 Where can I get Kashmiri chili powder from? Ruchira, with your love of Kashmiri food, I am sure you will have some Ver masala!! That chicken looks finger-licking good! What a beautiful color..and we’re waiting for that masala recipe. Hey Tadka pasta – Posting it soon.. am working on getting the recipe right to make in smaller quantities. Very appealing presentation, Ansh. So savory and wonderfully photographed as to be irresistible! Thank you, Viviane, Much love! I’m here Ansh! Pass me that bowl of chicken please…can’t stop drooling over as I am a Chickenlover! Thanks Babes.. It means a lot to me and Priti both. Come on over for a bowl of chicken! I can’t type when I’m in tears. Ansh, you were so right! 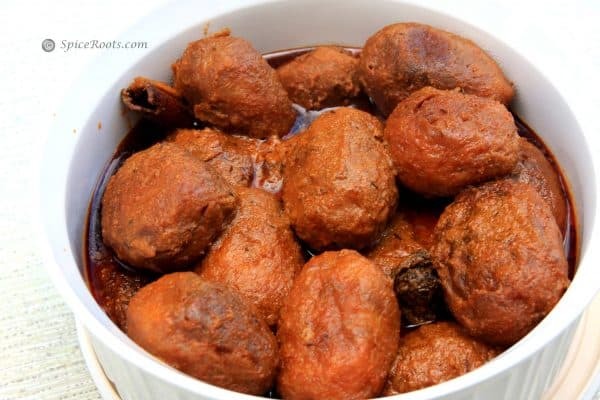 This dish is so addictive, we only crave for chicken cooked this way now. I was wondering, can I make this with fish or eggs?